Facebook has become a part of the lives of many people as it has more than one billion active users all over the world that’s why it can be used to drive traffic to your site. Traffic is also the major issue for many new blogs, brands, and websites which can be solved using Facebook. You know that if you have many quality contents but don’t have much traffic on your site then your all efforts are vain. If you are working hard on your site/blog but you are not receiving much traffic to your site then you should head towards the social media and the most popular social site Facebook, so Facebook is the best method to drive traffic to your website/blog and to make people visit your site. Even many experts say it is much harder to get traffic for a new blog without using Facebook or any other social site. Below I have listed 15 incredible ways to increase the traffic of your blog using Facebook, I am sure if you follow these ways honestly then you will start getting traffic from Facebook. Before you start reading my article I have listed some common and mostly used strategies which people uses for increasing their traffic of their blog using Facebook. These are simple to follow and are mostly very useful. I have already described above that Facebook has more than one billion active users all over the world and it is still growing; it means the number of active users will increase, so you must have access to as much peoples as you can. For this, you have to increase your presence on Facebook. How can I increase my Facebook presence? Good Question, it is very simple you have to join more groups related to your niche, create a page for your brand or blog, send more friends requests etc. are the best, easy and the free methods for increasing your presence on Facebook. Regular sharing your contents also plays a vital role in driving social traffic to your blog. When you share your contents regularly people start seeing them on their newsfeed when they see your posts daily it is most likely that they click and jump on your site for looking what you had shared. 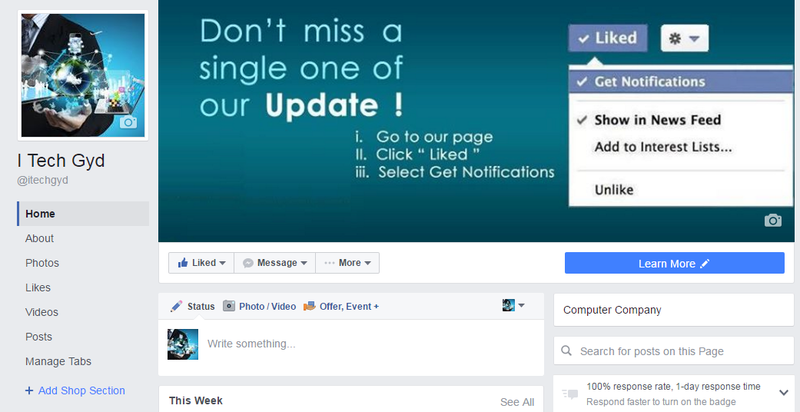 Fortunately, we have a super cool guide to convert your all friends into fans for your Facebook page. I mean your all friends will automatically like your Facebook page so just visit on Best Facebook Tricks Tips And Hack Which You Should Know and find Convert Facebook Profile Into Facebook Page. Groups are the best source for driving traffic to your blog, website or brand. You can join those groups which are related to your niche and can share your contents on these groups regularly, I also used to do this when my blog was new and I had no traffic. 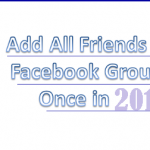 You should not join to hundreds of groups, instead, just join about 10 or 20 groups where you can post something daily, these groups must have thousands of members so that your post can appear to as much Facebook users as you want. 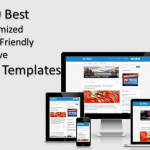 Writing amazing articles is the necessary thing for driving traffic on your site. Once you start writing such articles which people love they will automatically start visiting your links and you can also check this. Your articles must be according to the needs of your Facebook fans. Yes news can be used as a tool for driving Facebook traffic to your site, you can publish news on your blog and can share on your social sites likes Facebook, according to a survey news articles are click about 43% more than any other kind of articles, so if your blog is about technology then you can find news related to blogging easily which if you are writing about health then you can also find health news easily. Facebook ads have always been one of the best methods to increase your blog traffic through Facebook. Using Facebook ads you can reach to the new targeted audience based on age and interests etc. and can easily promote your products or services. If you think Facebook Ads are expensive then you are wrong Facebook ads are shortcuts for traffic and for shortcuts you have to pay. You can select ads pay-per-click so that you have to pay only on that time when a visitor visits your site. Below I have listed some new and tested way to get more engagements and clicks for your blog posts through Facebook, I am sure if you follow them honestly you are going to get huge traffic just from Facebook. Creating two profiles is a stranger method to promote your contents but it is the best and 100% working method for promoting your contents using Facebook. When you share the same thing using two different profiles those friends who are common in your both profile see that posts at the top of their newsfeeds, that’s why creating two profiles and having common friends in both profiles helps to promote your URLs easily. 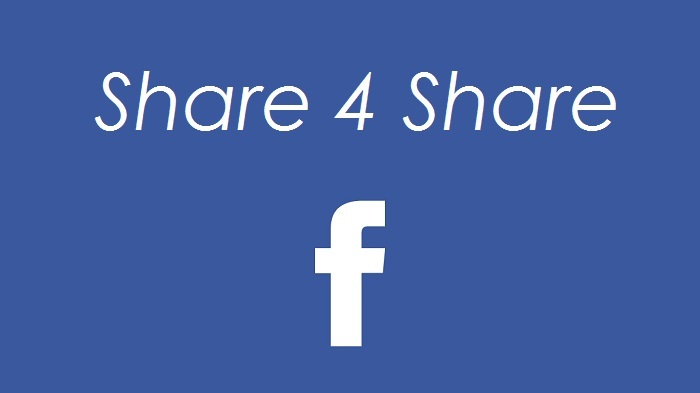 Share for share technique is very good for sharing your contents with those Facebook users that are not in your contact or community. Search the Facebook and find some other sites which are using Facebook and are also related to your site, ask them to share your contents with their fans and in return, you will also share their contents, by doing so you will get a chance to reach to new audience and to increase your blog traffic incredibly. Beautiful and attractive photos are also very useful for increasing your blog traffic, you will be aware people are attracted towards attractive photos. Use such photos for your blog posts which are attractive and make your Facebook community to hit the post as they see your photos in your posts. There are many ways by which you can make photos attractive. Number one is search for images in Google images, I am sure you will definitely find some images which are beautiful attractive and simple, just download the images and edit them a little i.e. remove any links if they are, remove any bottom text, and the most important thing resize the image with at least 640 width and 360 height because it is the perfect size for images. If you do not like any photo in Google Search results then you can also create your own images either by using simple paint of Microsoft (that is installed in all versions of Windows used today) or by any photo editor like Photoshop etc. Asking question is the best way to convert Facebook fans into blog readers but if you do this wisely then you can drive a huge amount of traffic to your blogs by just asking questions related to your niche. But don’t think this method (asking questions) so easy because you have to be very sensitive while asking any question, the question must be short, intriguing, challenging and must produce a spirit to know the answer. What do you thing can you ask a question to your audience like this? I think you are in a fix so don’t worry below are some tips which you can follow to ask such a question as described above. How to ask a question which produces a spirit to know the answer? For producing a spirit in your readers to know the answer to your question then it must have below characteristics. Your question must be short: Try to shorten the question as much as you can. Make your question curious: To make your question curious include suspense in the question. Redirect visitors to your Blog: This is what for which we are doing all of this, copy the URL of your blog post which you want to share and shorten the URL using bit.ly. This will avoid your post from becoming ugly. Quotes related to your niche produce a flavor in your shared post so including a quote in your Facebook post is a wise idea, as quotes are also the most shared contents of the Facebook. Now think what happens what your fans share your blog post? Simple, you get more visitors and when you include a quote in your Facebook post it is more likely that your more fans share it with their own friends, co-workers, and fans. OK, you have got much information for advantages of sharing quotes; let’s learn how to add a quote in the Facebook post. First read the summary of your blog post which you want to share on Facebook, now open Google and search for your Quote, for example, I search for “quotes related to success on blog” and I found a quote “Do not be embarrassed by your failures, learn from them and start again.” When I share this quote I got the maximum results than any other simple post sharing. You can search for your blog too using this simple technique but remember it can take some time to find a perfect quote for your blog. After you found the quote just share it with your fans. Like asking question sharing How-To posts also intrigue your Facebook fans and makes them open your blog post. It is easier to get them clicked on your How-To post then that of a linked displayed in a question but it is only possible if you do it correctly, I mean to say we all share our How-To posts on Facebook but don’t get as many results as we want looking for the reason is we are doing something wrong. That thing is we just share our post, to get most out of your How-To post you need some things. Make your How-To post title attractive. Use attractive and witty images. Include references and add a proper description. 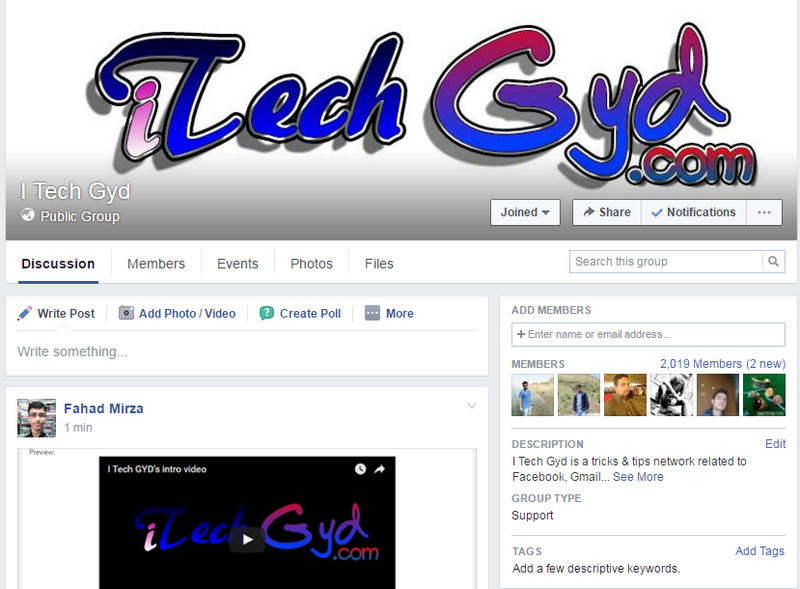 Follow above tips will help you a lot to get maximum traffic to your blog from Facebook by just sharing How-To posts. Remember your How-To post must be related to your blog’s niche and reader’s interest otherwise, you all efforts in vain. A single video can speak the whole story and videos are also considers the next generation of content marketing, in fact, it should be better to say it video marketing, because not everybody wants to read articles, some people like to watch videos, so publishing videos on Facebook is very useful you just need to create a video which your fans love and share it on Facebook, add a link to your blog giving title as find more videos at (your link) and that’s it. Sharing contents that deserve a Facebook share is also very useful strategy to drive traffic to your site, here contents do not mean your contents, in fact, it means quality articles of any site. OH! You are thinking I am mad, no I am not. There is a simple reason due to which I am saying this, when you share other’s quality contents which are not present or related to your blog but they have good information people start following your post and wait for your next Facebook post because they know you share only those things which deserve it and they will get information not waste of time. Once you got a good reputation you can also share your own quality contents and people will visit your blog too, but remember share only quality contents otherwise you know it takes years to get a good reputation in losing it a second is enough. These were some simple and new strategies for increasing your blog traffic using a social site like Facebook, if I have missed something then please notify me. I am waiting to hear your comments and it will be an Honor for me if you ask about something.